Irish America is marking the 20th anniversary of the Good Friday Agreement with a set of principles named after one of the agreement’s primary architects. The “McGuinness Principles,” named after the late Martin McGuinness, were unveiled Tuesday evening at the Molloy College Suffolk Center in Farmingdale, Long Island. Said a statement from organizers: “April 10, 2018, is the twentieth anniversary of the Good Friday Agreement when the people of Ireland overwhelmingly decided to pursue their struggle for their nation’s identity only through peaceful means. 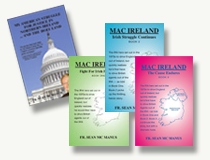 The McGuiness Principles, said the release, include provisions equality, respect, truth, and self-determination. 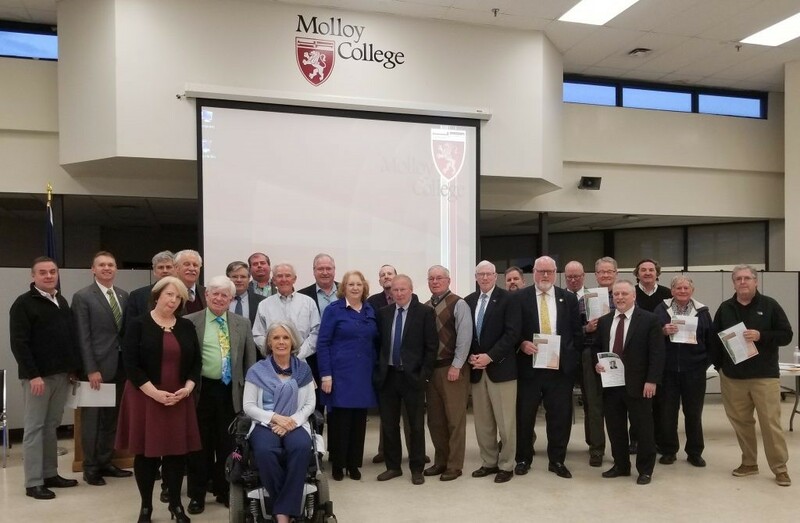 The Molloy College gathering also heard calls for the appointment of a new U.S. special envoy to Northern Ireland. The principles have been drawn up by members of the Ancient Order of Hibernians, Brehon Law Society, and by the office of New York State Comptroller Tom DiNapoli. Comptroller DiNapoli will be hosting a second event announcing the McGuinness Principles next week in Manhattan. The principles, which have the full support of the McGuinness family, call for the enactment of a bill of rights in the North, full statutory equality for the Irish language, equal justice for the victims of the conflict and their families, which would entail legacy inquests as part of the process of healing and reconciliation, and a referendum on Irish unity. Organizations supporting the rollout of the principles included the Ancient Order of Hibernians, the New York City Brehon Law Society, Nassau Brehons, Suffolk Brehons, Westchester Brehons, Friendly Sons of St Patrick, American Irish Historical Society, James Connolly Irish American Labor Coalition, Irish National Caucus, International Transport Workers Union, Local 100 of the Transport Workers Union, the Institute of Irish Studies at Molloy College, and the Hudson Valley Irish Center.